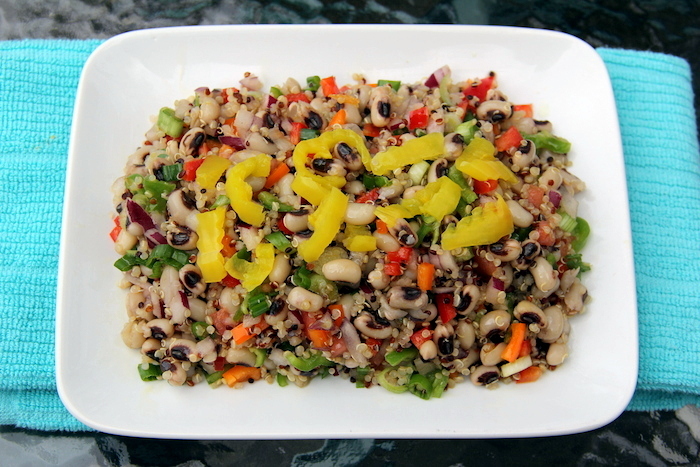 Here is a quick and easy bean and grain salad filled with veggies that will both satisfy your hunger and keep you feeling light. The glory in this recipe is that you can adjust the add-ins based on what you already have at home. 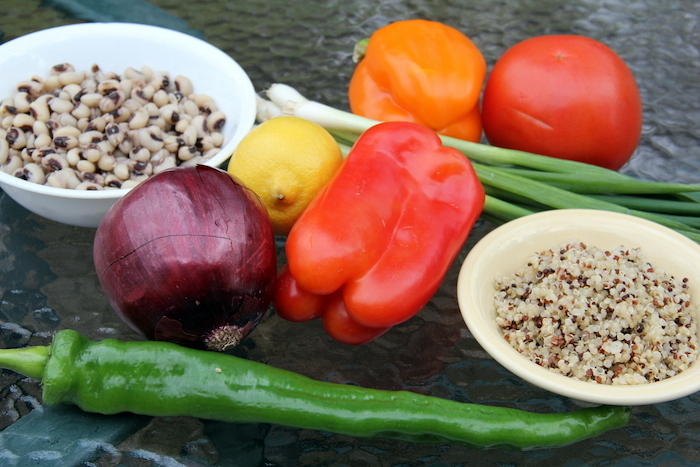 I used quinoa and black-eyed peas to make for a delightful and colorful salad. You can use just about any bean and grain you like, though, and don’t be afraid to be experimental. 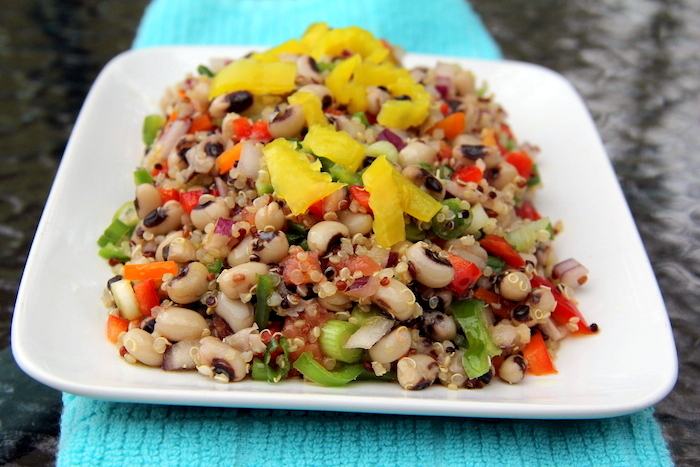 Enjoy this black eyed peas and quinoa salad as a side dish or main meal. Black Eyed Peas: contain 5.6 grams of fiber per 1/2 cup dried peas, are packed with heart-healthy potassium, are low in fat and calories, and contain 6.7 grams of protein per 1/2 cup dried peas. They reduce the risk of heart disease, lower cholesterol, support healthy hair, muscles, nails, and skin, and prevent diabetes and depression. Directions: Add all the ingredients to a bowl and toss until evenly combined. 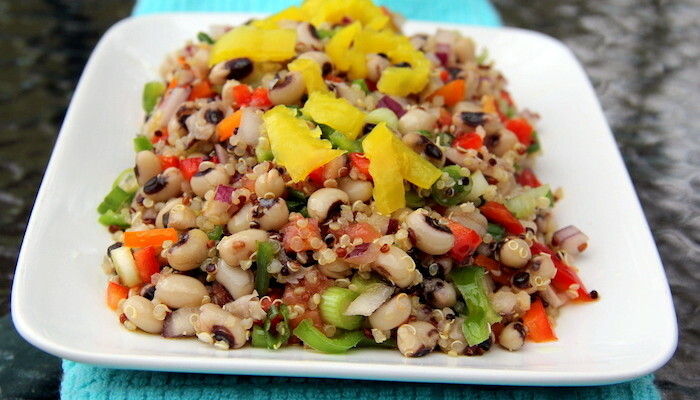 This entry was tagged black eye peas, black eyed peas, black eyed peas recipe, quinoa salad. Bookmark the permalink.